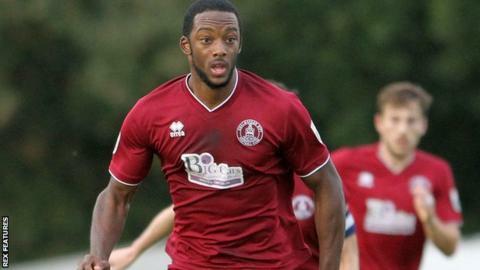 National League club Forest Green Rovers have signed Chelmsford City's Shamir Mullings for an undisclosed fee. The former Southend and Havant & Waterlooville striker, 23, moves with Chelmsford seventh in National League South, one point below the top five. Forest Green have slipped to second in the fifth tier after a run of three games without a win, having previously gone 11 games without a league defeat. Meanwhile, defender Charlie Clough has signed a new deal until 2019. The 26-year-old former Bristol Rovers and Newport County centre-back, who joined the Gloucestershire outfit in January 2015, will now stay until at least the end of the 2018-19 campaign.